How’s that for a cheery title? I don’t know who came up with the name for this recipe, but it largely has to do with the culture of the intermountain west I imagine. Whenever there is a funeral, church members help prepare a large meal for the family and friends of the person that has passed away. 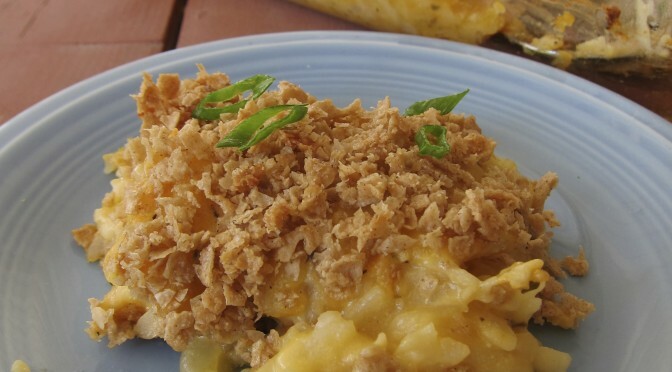 Funeral potatoes were and still are a required side dish. We would have this casserole dish a lot outside of funerals. Growing up it seemed like we had it at least once a month. Creamy cheese and potatoes? What kid wouldn’t like that? Well, now as an adult with dairy, egg, and gluten allergies, it would seem that I would no longer be able to enjoy the cheesy goodness (not that I want to after reading the ingredients in the required can of condensed cream of chicken soup). But I was determined to create a version I could have. Could I just create a nutritional yeast cheese sauce? That works with some success, but I’m not the biggest fan of nutritional yeast in large amounts. Nor did I want to create a nut-based cheese sauce as there are quite a few member of my family with nut allergies. What I decided to do was create my own cream of chicken soup base. But how to create that without using flour to thicken it? The answer: Sweet White Rice Flour. 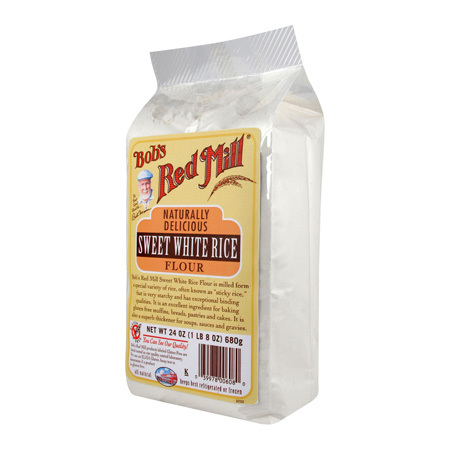 Unlike many other gluten-free flours, Sweet Rice Flour is very finely ground, and it thickens sauces beautifully because the rice is higher in starch. Stir in dairy-free cheddar cheese and dairy-free sour cream, and we are in business. I haven’t had a family member yet that can tell it is GF, and DF. In fact, when my sister-in-law made it for her 1-year-old and 3-year-old, they cried when she put it in the oven to bake, and they cried when it was all gone. Adjust oven rack to middle position and heat oven to 350 degrees. Heat 3 tablespoons of oil in a heavy-bottomed pot over medium high heat. Cook onion until softened, about 5 minutes. Add flour and cook, stirring constantly for about 1 minute, until slightly golden. Whisk in broth, scraping the bottom of the pan in order to get all of the brown bits off the bottom. Stir in milk, salt, thyme, and pepper and bring to boil. 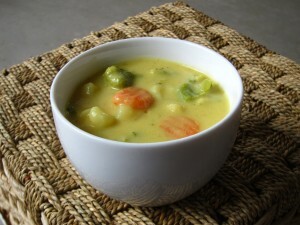 Reduce heat to medium-low and simmer, stirring occasionally, until slightly thickened, 3 to 5 minutes. Whisk in cheese until smooth. 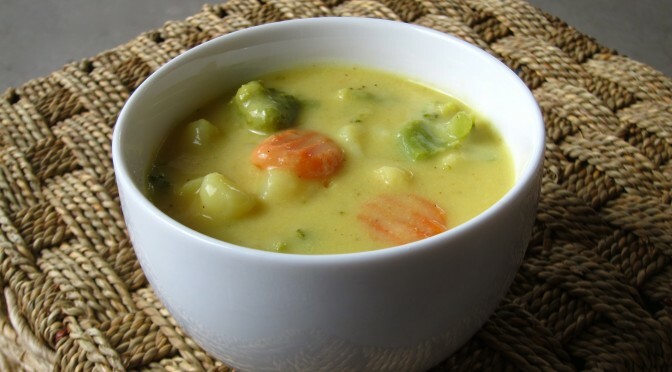 Stir potatoes into sauce, and cook, stirring occasionally, over low heat until thawed, about 5 minutes. Off heat, stir in sour cream until combined. Scrape mixture into 13 by 9-inch baking dish. If using the topping, mix together cornflakes and 1 tablespoon of oil, and 1/4 teaspoon salt in a small bowl. Sprinkle evenly over casserole. Bake 45-50 minutes until topping is browned and sauce is bubbly. Let cool 10 minutes before serving (the hardest part of the recipe). Top with sliced scallions. This dish can be made ahead and refrigerated for 2 days (wait on mixing the topping until ready to cook). To cook, cover the refrigerated dish with foil and bake for 20 minutes. 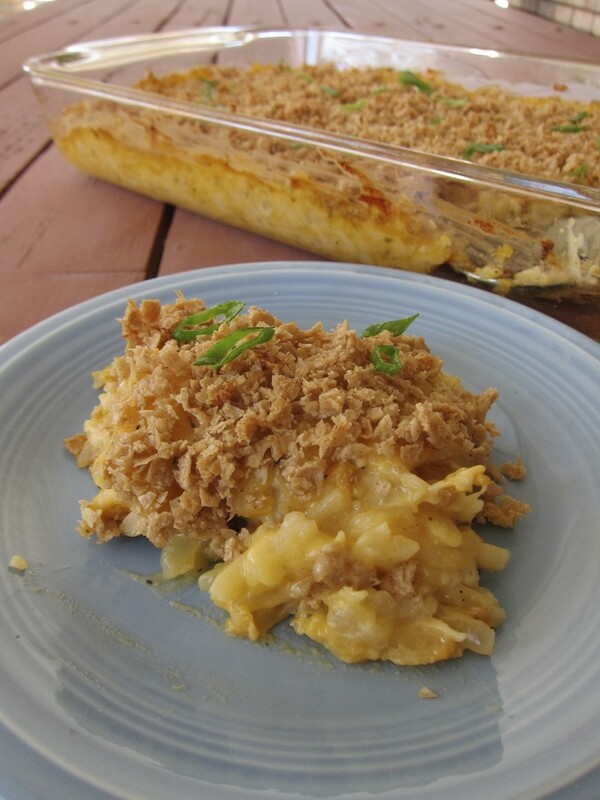 Remove foil (add topping if using) and bake until golden brown and bubbly, 45-50 minutes). The result is excellent, so much so that I decided to submit it to the Earth Balance Recipe Contest. Hope you enjoy it!